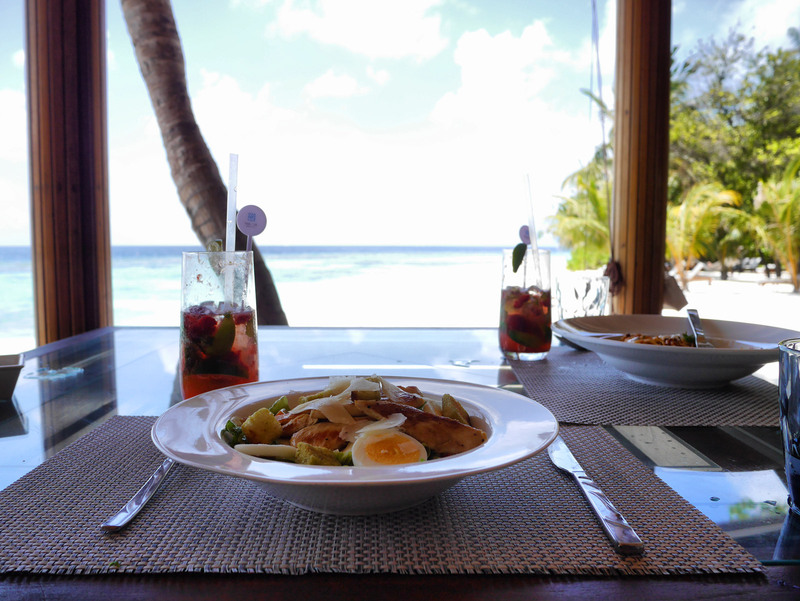 Huvan is the perfect spot to enjoy a healthy, appetising lunch by the beach. Pictured at this restaurant/bar is a caesar salad with grilled chicken, boiled egg, garlic & herb croutons, cherry tomatoes and shaved parmesan cheese. A refreshing choice of drink (our favourite, also pictured) is the non-alcoholic strawberry and ginger mojito... yum! Copyright © Go To Travel Guides Huvan is the perfect spot to enjoy a healthy, appetising lunch by the beach. Pictured at this restaurant/bar is a caesar salad with grilled chicken, boiled egg, garlic & herb croutons, cherry tomatoes and shaved parmesan cheese. A refreshing choice of drink (our favourite, also pictured) is the non-alcoholic strawberry and ginger mojito... yum!